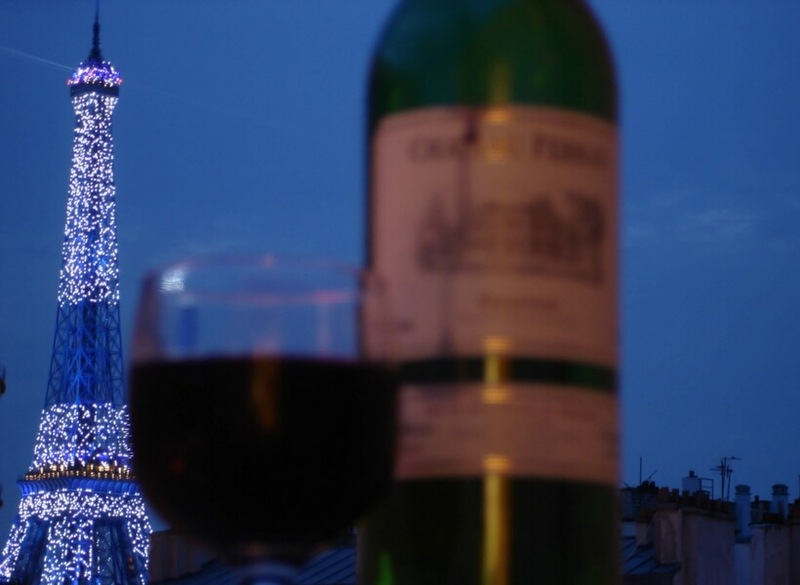 Le Musée du Vin or Wine Museum in Paris: All About Good Food and Great Wine! The Wine Museum in Paris aka "Musée du Vin" would probably be a major museum in any other city in France, but because it is located in Paris and surrounded by so many world-class museums, it automatically gets qualified as a "minor" museum. But don't let that fool you! It's a fun visit! And FYI, this is NOT a sponsored post, nobody is paying us to say nice things. 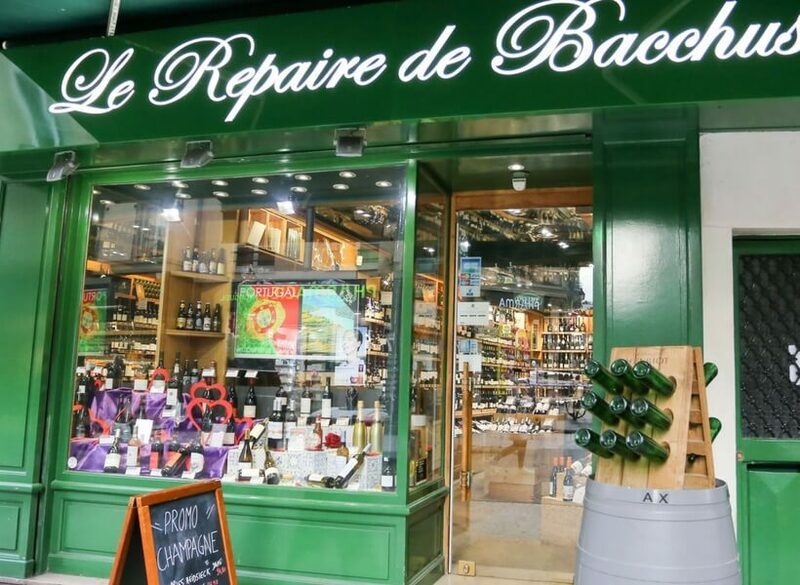 My friend Brenda, who shares her experience at the Musée du Vin in today's Trip Report, knows Paris well and wanted to try this often overlooked "off the beaten track" museum. She's glad she went and particularly recommends the restaurant attached to the museum when she and her husband enjoyed an outstanding lunch! 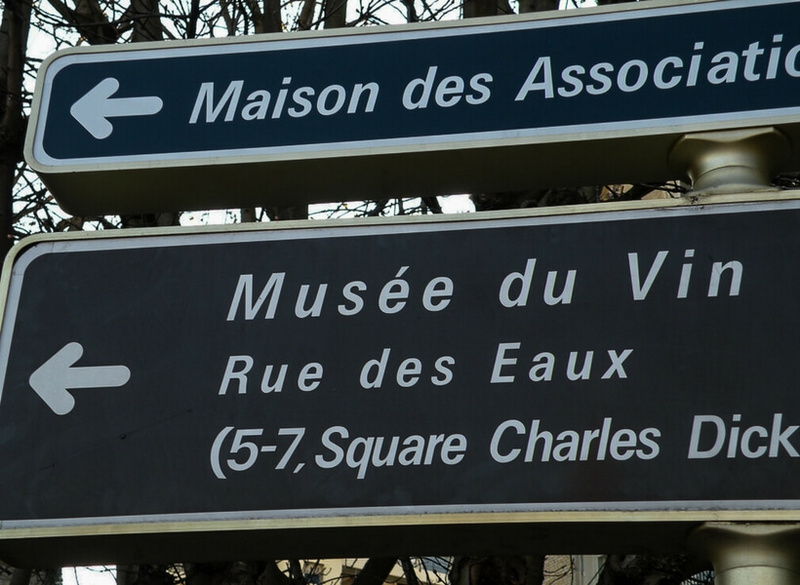 This museum is 1km away from the Eiffel Tower; the closest metro stop is Passy on line 6 of the Paris Métro. It’s open Tue-Sat 10am until 6pm and is wheelchair accessible. There are audio guides in English. Entry is 10€ and it is not on the Museum Pass. It is not typically crowded. This Hidden Gem Is Tricky to Find! 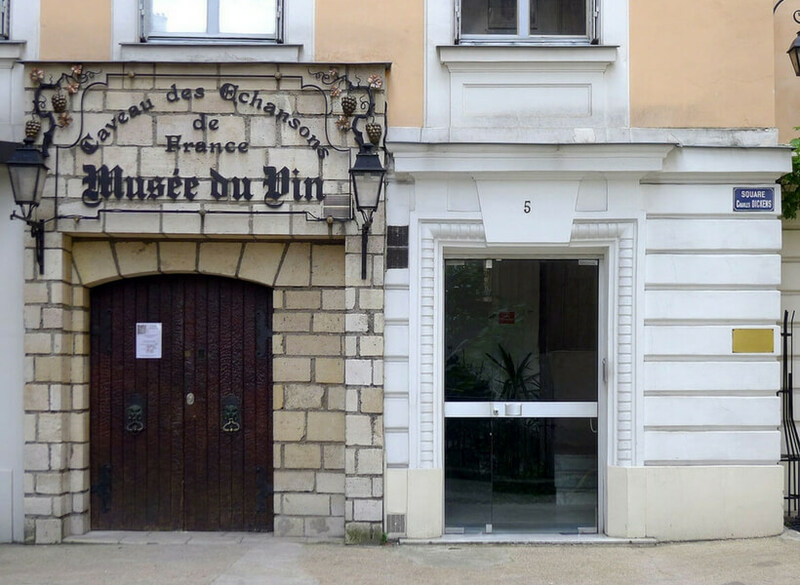 The Wine Museum is tucked away and not so easy to find in you are not coming from the Passy Metro stop. The Museum is on Square Charles Dickens and to get to you may have to go through an alley and around the back. Follow the sign if you see it! This is the sort of place that organizes wine tastings and can provide cheese and cold-cuts plates for an extra fee, and they have a restaurant open for lunch. The Wine Museum is owned by a wine promoter corporation called “le conseil des échansons de France” a group that seeks to promote French wine and gastronomy. The “échanson” was the sommelier of yesteryear who served wine to the king or to the prince. The Wine Museum is housed in a cave setting that used to belong to Monks of the Minim religious order (Ordre des Minimes). Most items in the cabinets are labeled in French only, but the bigger items have English translation also. The audio guide in English was good and easy to understand. There are a lot of things to look at but it is not a very large museum. It took Brenda and her husband 45 minutes to visit it. Paris Used to Have Many Vineyards! This part of Paris used to have vineyards everywhere, but this hasn't been the case for a long time. Grapevines prefer a poor soil and the soil around Paris is too rich. 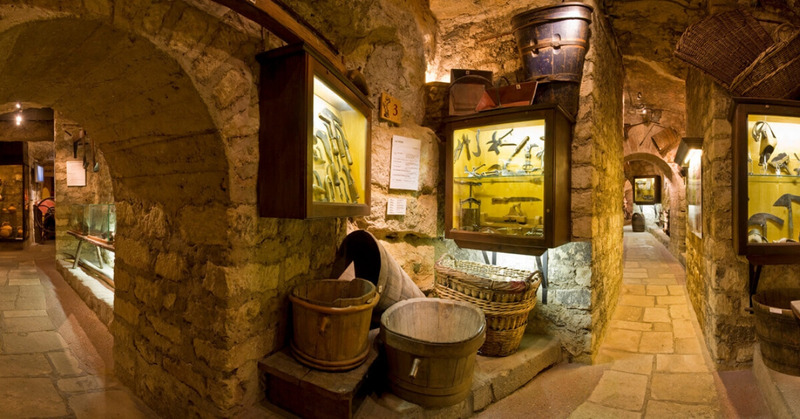 The Wine Museum displays old instruments that were used for wine-making from Roman times to the Middle Ages until today, and explains what they were used for. They have displays with old wine glasses and “taste-vin” which are the little cups the sommelier used to taste the wine and are mostly honorific today. What else can you do in the area? 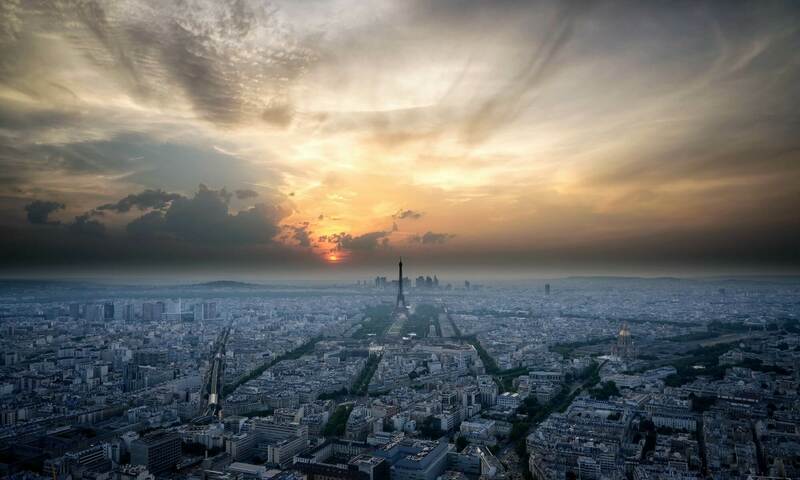 The area is upscale residential, You could hang out at the trocadero where you’ll find the Musée de la Marine and the Palais de Chaillot, you could go to the Balzac Museum 500 meters away, if you haven’t been to the Bir-Hakeim bridge, definitely go, you will get great views onto the Eiffel Tower from the bridge. There are a lot of Asian couples who come to Paris just to take wedding photos in that spot! Brenda and her husband were going for an “unknown Paris” theme on this trip. They were hoping to find hidden gems, and this was definitely one of them. Wine culture is huge in France and it is good to get to know it a little bit. The majority of French people are not snobbish at all about wine, contrary to the perception Americans may have. Drink what you like! In France we have so much wine with so much variety that it’s hard to make strong pronouncements on “good” wines. It is true that French people are a little bit defensive when it comes to California wines; but that’s probably because so many California wines are so good! French wine-makers like to mix grape varieties and so you rarely see straight Chardonnay or Shiraz, it’s a bit of a “secret de fabrication”. When you come to France don’t plan on shipping wine back to the US, it’s almost impossible to do. You can take a couple of bottles back in your luggage, but that’s about it. 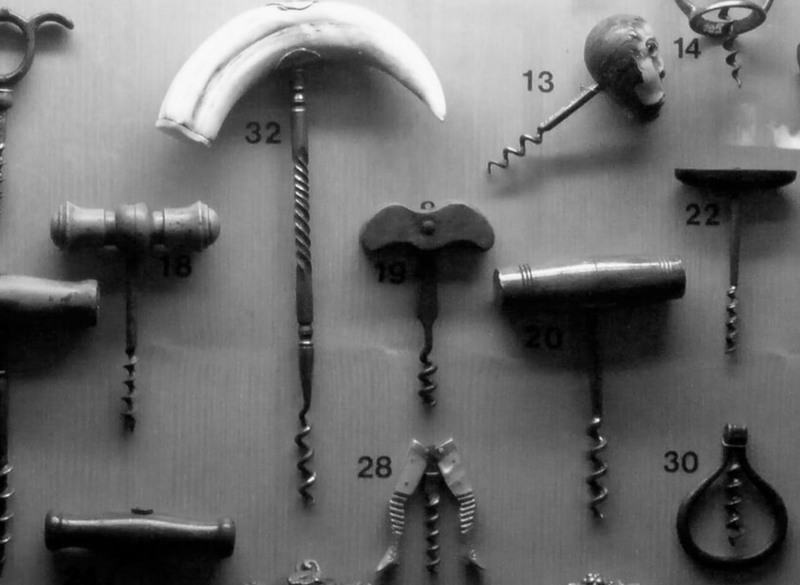 Some of the reviews of the Wine Museum on Yelp are negative which Brenda thinks is unfair. It is a small museum that will only take 45 minutes to visit; but it’s a good place for a short visit and a meal. Also consider that the audio guide is well done. We think it's a good place to visit if you’re a return visitor to Paris and you have some time. I also forgot to mention, I have a former neighbor who is a documentary film maker, who has 3 films that focus on wines. The first, “Wine for the Confused,” is hosted by John Cleese, and is a good general wine documentary. His two other films on wine are “A Year in Burgundy,” and “A Year in Champagne.” The last can be streamed currently on Netflix. They grow wine grapes in Montmartre. And there is a tiny wine festival there too.